April 12, 2017 | 10:30 a.m.
Emerald Meadows sells produce to three school districts in south-central Wisconsin. As farm-to-school programs grow across Wisconsin, they've proven to be quite a learning experience, and not just for students. These projects take a wide variety of forms, which means there's no standard roadmap for getting locally grown produce or other foods purchased, shipped and prepared for school meals. The novelty of these efforts means school districts, farmers, and regulators have to figure out some tricky logistics. 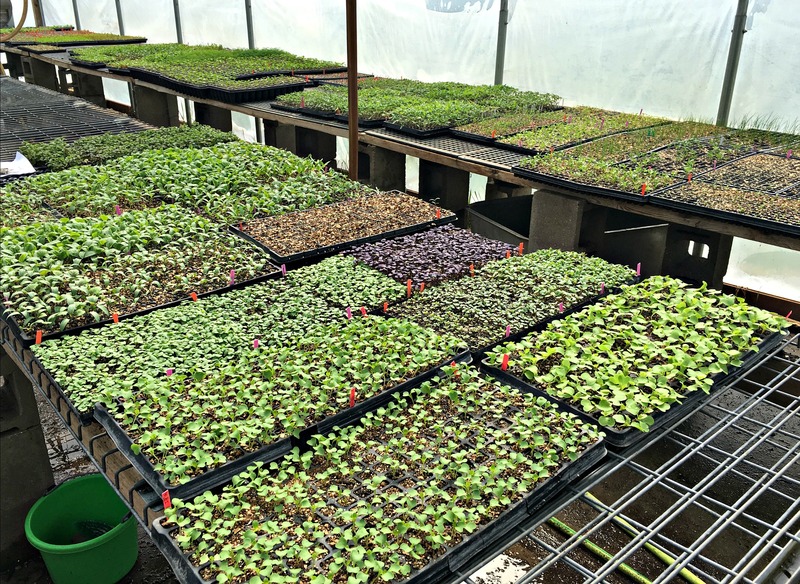 Emerald Meadows, an organic farm in Columbus, offers an example of how farm to school is an organizational challenge. In 2016, the farm contracted with UW-Extension Columbia County in a program to provide three school districts in Columbia and Sauk counties — Columbus, Wisconsin Dells, and Sauk Prairie — with fresh produce, including onions, garlic, melons and peppers. But to deliver their fruits and vegetables to schools, farm owners Tim Zander and Becky Breda have had to think a lot about details like timing and transportation. For instance, the farm had to work out a delivery schedule that works for individual schools. The early part of the week is busy at Emerald Meadows, which sells at a farmers' market on Tuesdays and has pickups for its community-supported agriculture program on the same day. It's not a good day to have the farm's small number of employees out on the road making deliveries. On the other hand, late in the week is no good for schools. "The school doesn't want to get something on Friday because it sits in the cooler all weekend," Zander said. Zander said Emerald Meadows works with schools to determine the best delivery schedule. Zander and Breda also needed to work with schools to make sure their orders made sense for the farm's bottom line. "If we are only going to give them green beans and they only need one case of green beans, it's not affordable for us to haul one case of green beans all over the county. But if we're the primary vendor and they want green beans and onions and carrots, then it's a lot more affordable for us to haul it around to them," Zander said. Breda, who handles the farm's business functions, noted each district has different packaging requirements for food. Sometimes she had to follow up with the schools to make sure they got their orders in regularly. "It was new for all of us," she said. Another obstacle to farm-to-school programs is that not all school kitchens have the staff or equipment to roast a bell pepper or even chop a carrot. As a consequence of the industrialized food distribution system that farm-to-school advocates hope to supplant to some degree, some schools are only equipped to heat up frozen pre-prepared food items. Some don't even have a lot of space to store ingredients. One part of the UW-Extension program in Columbia County involved training school staff in knife skills and other basic aspects of food preparation. And during summer break, schools tend to have fewer staff around on site, which can make it harder to incorporate fresh ingredients into summer meal programs. Limitations on school kitchens naturally also narrow the types and quantities of local produce schools can buy. Zander sees a missed opportunity in this situation. For example, if a farmer has an unexpected glut of a given vegetable, or cosmetically beat-up but edible remainders, a school with a decently equipped kitchen could buy, process and store them for future use. But he also has come to understand how much it takes for schools to re-orient their food programs, even in terms of placing orders, scheduling meals and keeping records. "There's a lot of book-work on top of the kitchen work," Zander said. Emerald Meadows grows a variety of fruits and vegetables for schools. 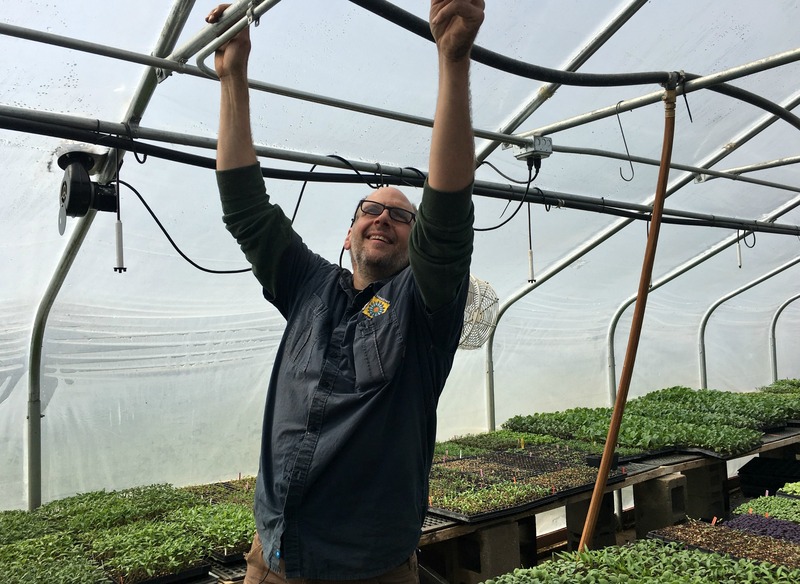 Still, increasing the flexibility of school kitchens would probably make farm-to-school programs more appealing to more farmers, Zander suggested, especially if they're handling their own deliveries like Emerald Meadows. He also suggests that more small school districts could band together to share ordering and transportation costs. "If you're going across the county, it's good to make as many stops as you can," Zander noted. Breda, who has a background in early childhood education, has become an active advocate for the concept of farm-to-school. In addition to the health benefits of serving children nutritious foods grown nearby, and economic gains these relationships can offer local communities, farm-to-school efforts also resonate with the state's agriculture traditions for Breda. "I think Wisconsin has a good heritage of being connected to the land to provide services for people," she said. What Did Wisconsin's Farm-To-School Coordinator Accomplish?